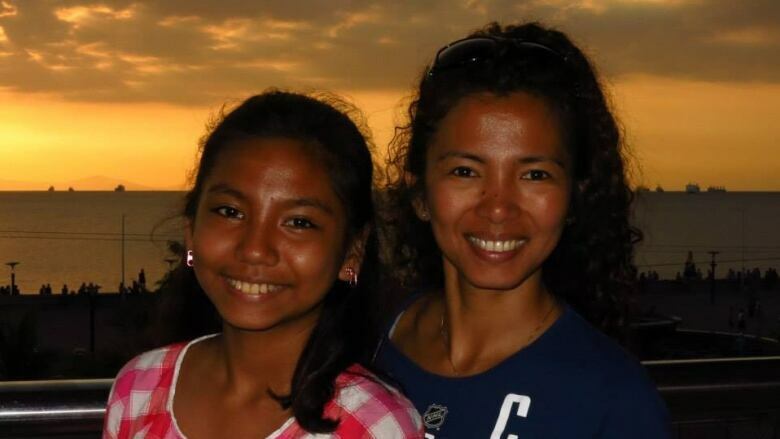 A Filipina woman living in Canada says she's "over the moon" after finally winning her four-year battle to allow her deaf 14-year-old daughter to join her in Vancouver. Karen Talosig's four-year-old application to bring her daughter Jazmine to Canada had been on hold pending a medical review. Jazmine, an honour student at a school for the deaf in the Philippines, was seen as a possible burden to Canadian taxpayers. CBC aired her story last May. Now, after letters of support from Talosig's Liberal MP, Joyce Murray and B.C. Education Minister Peter Fassbender, immigration officials have relented. Jazmine and her Mom could be re-united, as early as next month. Talosig says it's hard to believe the long wait is coming to an end. "It's been really rough on both of us. But I'm over the moon," she said. She's already told her daughter about the victory. "She's very happy. But then she asked me 'when is the exact date I'm going to the airport?.' It's been a long journey." Talosig was a widow when she came to Canada seven years ago on the Live-in Caregiver Program. Her daughter, Jazmine, was six-years-old. Talosig lived in Vancouver, employed as a nanny, supporting her daughter from overseas. The 38-year-old applied for permanent residency in 2010 for both herself and Jazmine, who has been deaf since birth. That's when their application stalled. The Immigration and Refugee Protection Act states under the Live-in Caregiver Program, a foreign national cannot be given permanent residency if he or she "might reasonably be expected to cause excessive demand on health or social services." But Talosig, who worked three jobs, ​sending $1,000 back to her daughter every month, has pledged Jazmine will never be a cost to Canadian taxpayers.